By 2040, the government hopes to prohibit the sale of new petrol and diesel vehicles altogether; a bold move, designed to help curb the effects of pollution and global warming. Naturally, the replacement for petrol and diesel will be the electric vehicle (EV); and although the intended prohibition of petrol/diesel vehicles is over 20 years away, the EV market has grown considerably. Between 2013 and now, registered EVs in the UK have risen from 3,500 to 166,000 – as the technology spreads and the vehicles become cheaper, this number is expected to rocket over the next decade. There is, however, still some confusion as how EVs work, or just how efficient they are in day to day driving. Are there enough charging points available? How long does it take to charge? How much does it cost to charge an electric vehicle? By better understanding these issues, a pco hire driver can make a better decision as to whether an EV is worth investing into. 1- Where are the Charging Ports? Electric Vehicles can be charged at home or on the road. If charging from home, you either connect to a three-point outlet inside your house using an electric vehicle supply equipment (EVSE) cable, or your own makeshift charging point installed in your garage for example. Just like you’d charge your phone overnight, you can have your EV fully charging overnight too, saving you time in finding a charging point and waiting for the charge to finish. Alternatively, or of drivers need some extra charge on the road, the UK has over 17,000 charging points at almost 6,000 locations across the country. Being built to a professional level, they will offer faster charges, and are usually placed in accessible areas – from cities to suburbs to motorways, it shouldn’t be hard to find one. 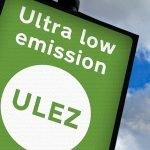 For a full list of London’s charge points, check out www.thechargingpoint.com – keep this website in handy should you invest in an EV! Both the size of the car and the battery will vary EV charge times from vehicle to vehicle. Hybrid cars, for example, have relatively small batteries so their charging time are of no real hassle to your daily routine. Rapid Chargers – what you’ll find in most public charging ports, which will charge vehicles between 30 minutes to an hour. Tesla have gone even further, aiming to bring down charge times by as little as 10 minutes – and the aim of the future will be to bring this time down to that spent filling up a petrol or diesel car. Those charging at home have access to the Economy 7 electricity tariff. This gives a good deal on overnight electric use, so you would be paying no more than 10p per kWh; less than a pound for a full tank for most pure EVs. More expensive tariffs would still be in the modest price range of £3.40 for a full charge. And as an extra incentive, for installing a home charging point, check the Electric Vehicle Home-charge Scheme which will cover 75% of the cost of installation (with a maximum value of £500) to get you started. Charging away from home is naturally more expensive and can be accessed in different ways; some offer membership plans, others use the pay-as-you-go format, but some don’t charge at all. Alongside that, you would also be free from congestion charges and pay and display fees across London. Pco rentals will not commonly be electric vehicles, but as the technology becomes cheaper to produce, the costs of EVs will decrease heavily. Even if you’re not ready now, they’re certainly worth considering for the future – they might even become the standard for pco hire driving in the years to come.